Vickie emailed me a few weeks ago saying she loved this idea of Lookbook of the week and if there was a way she could be part of it. After seeing her blog (which is lovely) i knew she would be perfect! I think she has a very believable style and can can easily be achieved. The first of the outfits is just perfect, I'm totally loving cream coloured things right now, and looks great with black tights! 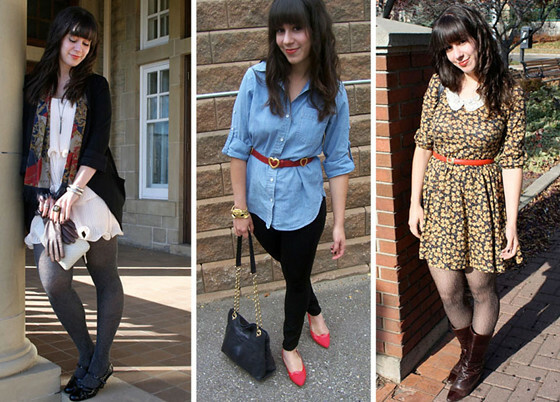 (a fashion must have) I love her outfits having pops of colour (the belt & scarf) and i think it really draws you in. I really like how her shoes match the belt in in the second outfit. I would add a chunky scarf to make it more wintery. I'm not a massive floral fan, but i think they could really work and brighten up your day, especially as it is now freezing outside. The dress looks great with brown boots and you could easily put a coat over to keep you nice and warm! your obviously a very down to earth girl! Those H&M boots are perfect too - I'm definately going to keep my eye out for those!! Love her looks! I might have to pick that lace dress up from tk-maxx, it's gorge! This is awesome! 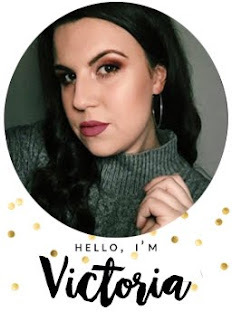 Thanks for the feature, Victoria! Love your clothing pics-- that Asos bag is rad! Love her looks! and that lace dress is awesome!! your blog is so lovely <3 and I love her style!